Lawmakers in Somalia’s semi-autonomous Puntland region have elected former Somalia planning minister Saed Abdullahi Deni as president. Deni won 35 out of 66 votes from regional lawmakers in the third, and last, round Tuesday, defeating 20 other candidates. His closest challenger, General Asad Osman Abdullahi, former Puntland spy chief, received 31 votes. The new president, 52, is widely known for his role in education in Puntland where he helped establish schools and universities. In 2017 he mounted an unsuccessful run for president of Somalia. Deni campaigned on promoting economic growth and fighting corruption in the relatively peaceful Somali region. “A new chapter has opened for this region, a chapter of unity and brotherly relations among Somalis,” the new president said. Puntland’s outgoing president, Abdiwali Mohamed Ali, lost in the first round of the election with only eight votes. “The result of the election shows the transparent work done by the parliament and that People of Puntland are mature to democratically elect their leader,” Ali said. 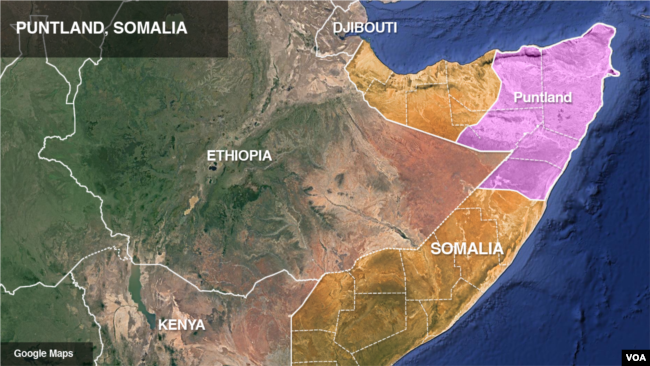 Located in northern Somalia, Puntland has largely escaped the worst of the country’s decades of lawlessness, but there are pockets where al-Shabab and Islamic State militants are present and periodically attack security forces. Among the tasks Deni will face is fighting the militants, who are based in the mountainous Bari region and along the coastal towns of Puntland, says Virginia-based Somalia analyst Abdiqafar Abdi Wardhere. “He comes to office at a time the region is suffering from inflation, and activities by terrorist groups. He also has to mend the broken relationship between the region and the federal government,” Wardhere told VOA.